What are you planning in 2016! August, 2015...the Federal Reserve expects the U.S. Economy to grow by as much as 2.3% in 2015 and as much as 2.7% in 2016...with record low interest rates beginning to rise as the underlying Economy contiunes to improve there may be no better time to start your small business than today! Celebrating 18 Years online, with Millions raised since 1996, we would like to thank the 1000's of QuickPlan® Customers who have made QuickPlan® work for them. 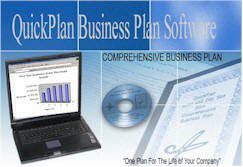 Setting the Standard since 1996, the original Industry specific business planning software... And you could be working on your plan within the next 15 to 30 minutes...when you order we email the software to you immediately upon processing your order so that you can get started right away! QuickPlan® Apartment, based upon a 56 unit multi-building Apartment Complex. QuickPlan® HealthClub, based upon a complete full service facility. QuickPlan® Nail Salon, based upon a Full Service Nail Salon . QuickPlan® Resort, based upon a 350 room resort with consolidating Departments. 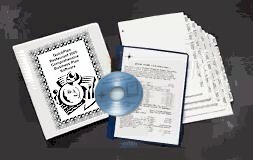 QuickPlan® BuyHere Pay here, based upon a Buy Here Pay Here Used car lot. QuickPlan® Convenience Store, based upon a convenience store featuring fuel. QuickPlan® Moving Company based upon a regional moving Company!